World-class bathing technology, a cornerstone of the Aquatica range for over 20 years, has most recently resulted in a range of patented hydrotherapy and air massage systems guaranteed to deliver precise and responsive hydrotherapy. Bathers can now not only enjoy the pleasures of bathing Aquatica-style but also the recognised health, therapeutic and relaxation benefit. Stress is rightly regarded as one of the most pernicious of modern-day ailments, affecting a large proportion of people having to cope with the fast pace of life in the 21st century. Constant demands at work, the incredible pace of technology making us accessible 24 hours a day and the desire to also enjoy activities outside of work, see stress-related ailments prevalent throughout society. 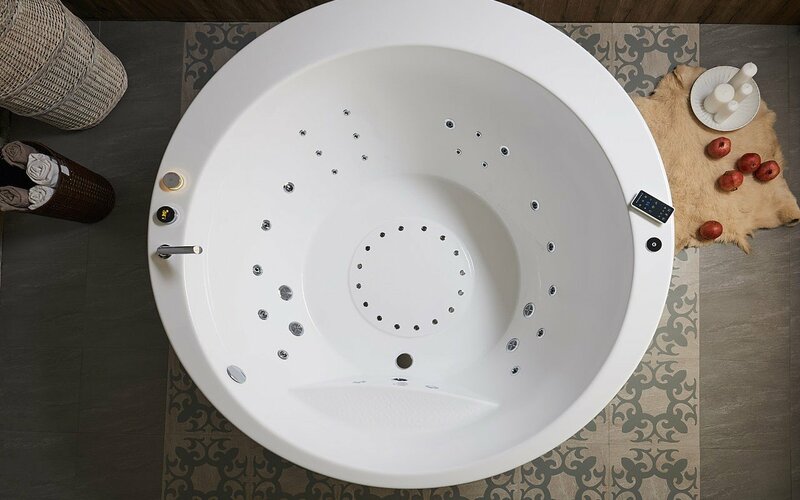 This growing awareness of the impact of everyday life is the reason behind specialist bath manufacturer Aquatica’s most recent developments in their superb range of bathtubs – Aquatica hydromassage baths. 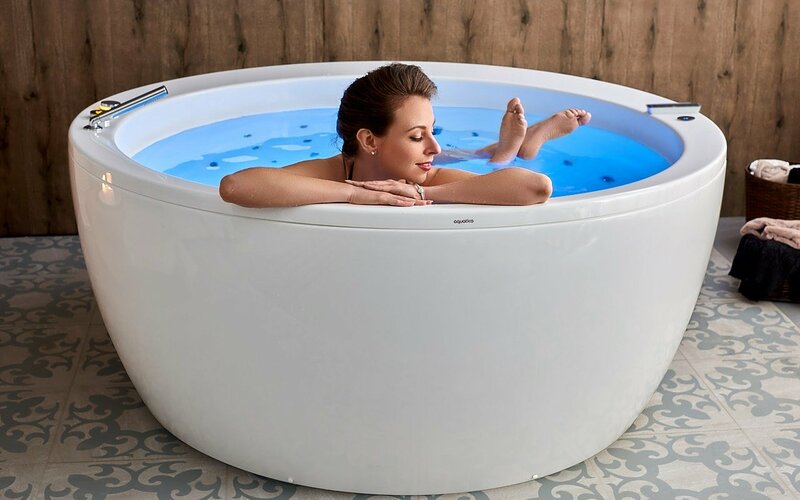 World-class bathing technology, a cornerstone of the Aquatica range for over 20 years, has most recently resulted in a range of patented hydrotherapy and air massage systems guaranteed to deliver precise and responsive hydrotherapy. Bathers can now not only enjoy the pleasures of bathing Aquatica-style but also the recognized health, therapeutic and relaxation benefit. Back and neck pain caused by nervous tension can float away, concentration restored, tiredness and anxiety relieved whilst you relax and recuperate from your busy lifestyle. Aquatic’s hydrotherapy and air therapy range includes both acrylic and Aquastone baths in a range of sizes, with single or Dual Hydro massage power - DHP. Jets located in both the bottom and sides of the bath, deliver a general massage or specific massage of the sides, back, and feet. The Easy Touch electronic panel provides fingertip adjustment of the intensity of flow. The unique Adjustable Back Massage (ABM) gives ‘intelligent’ control of that area of the body which of the whole body, needs massage the most. Air massage jets which add air bubbles into the flow, are located in the bottom of the bath and provide another dimension of relief through massage of the legs, thighs, and buttocks. An additional option - Electronic Turbo Massage further increases the intensity of the hydro massage by maximizes the water-air mixture. Another major plus is Aquatica’s electronic Autofill which stops the bath mixer running when the bath has filled (available only for Europe and other international markets).